The micro-organism found most frequently when London Metropolitan University scientists tested in-car cooling systems was Bacillus Licheniformis. This bacterium lives in soil and in birds’ feathers. Although it sounds pretty revolting, it’s actually not that harmful to humans. Boffins have even been investigating whether it can be used to remove plaque from teeth. What about the dangerous bacteria? The next most common bugs found are from the Bacillus family. Bacillus Subtilis exists in soil. However, it is also lives in the gut (and therefore faeces) of humans. And it is very hard to kill: experiments have proved it’ll even survive in space! It’s closely followed by other members of the Bacillus family. The spores of this regularly contaminate raw foods and in extreme cases can cause stomach ache, diarrhoea and vomiting. 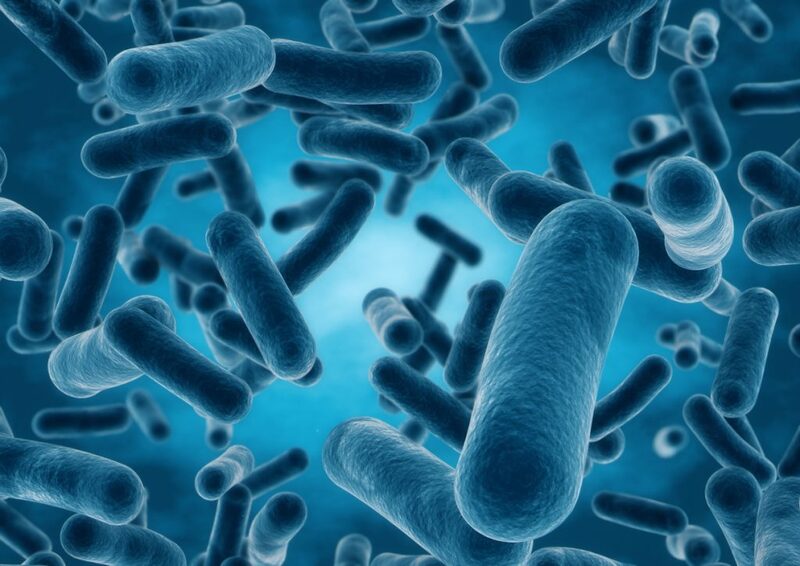 Bacillus bacteria have links to a wide range of infections including meningitis and septicaemia. Scientists from London Metropolitan University took 15 cars and examined their air-conditioning filters. They found micro-organisms in all of them. 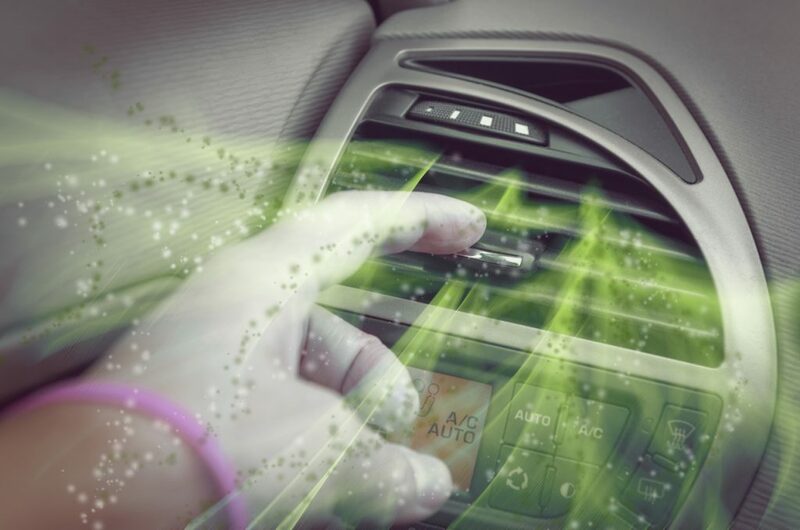 On average cars had 1.6 kinds of bacteria in their air-con. Drivers in Plymouth had the most contaminated cars followed by those in Dundee. Cardiff drivers had the cleanest. It’s recommended that car air-con units are serviced every two years. That’s because air-con contains refrigerant which slowly leaks away, reducing the system’s ability to cool. In addition to what’s known as a re-gas, many garages will also perform a bacterial cleanse. This is where they put a cleaner through the system to kill the bacteria. These build up over time because it’s a frequently warm, moist environment with lots of nooks and crannies to harbour germs. Some of these are odourless but some will cause the stale smell that sometimes comes out of a car’s vents. Garages will frequently charge around £20 to perform an air-con bacterial cleanse. However, from £5 upwards you can buy aerosol treatments that claim to clean cars’ air-con. With the engine and air-conditioning running, you place these in a closed car, set them off and leave them for 10 minutes so the gas can circulate through the car’s system. Some people swear by them, others speak less favourably. Get it done profesionally, you need new filters too, so worth spending out for a clean system. Most cars have some form of ventilation or heating system. Is the problem confined to vehicles with air-con? garage to attend to this and to replace the filters. Why haven’t we heard of this before? It seems there’s always someone coming up with yet another way of fleecing more money off the motorist. Just range my garage and they have quoted £150 + VAT to clean my aircon, is this the going rate for this. My car is 4 years old. Mine stopped working months ago. Will I still suffer from bacteria? Where can you buy the aerosol treatments from?